Many smokers want to quit but aren’t sure about the best way to go about it. Thousands have quit for good with our help and studies show that you’re up to four times more likely to successfully quit with a combination of stop smoking medicine and specialist support from your local Stop Smoking Service. Trained advisors are based at GP surgeries, pharmacies and community venues across South Gloucestershire so you can find the service that best suits you. your advisor will talk about all the stop smoking medications available and which combination of these will suit you best. You don’t need to be certain you want to quit, or have a specific quit plan in mind before your appointment. You can use the time to talk your situation through with your advisor without making a commitment. Stop smoking medications are available on prescription from your advisor if this is agreed during the appointment. For pharmacy opening hours please visit: NHS Choices website or call 01454 616030. Below is a list of pharmacies offering smokefree clinics, click on the location headings to expand the list and see all the options in your area. Please contact us for an appointment by texting “READY” followed by your name to 80011*. 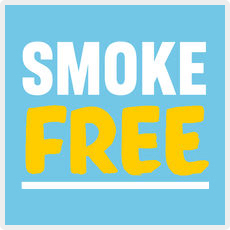 You can also call us on 01454 865502 or email smokefree@southglos.gov.uk. *Texts may incur a standard message charge. Please check with your provider. Stopping smoking is the best thing you can do for your baby to have the best possible start in life. The risks of smoking during pregnancy are serious, from premature delivery to increased risk of miscarriage, stillbirth or sudden infant death. Quitting smoking helps your baby develop healthily during pregnancy and beyond. We have a dedicated Stop Smoking Midwife, who can support you at home. Our Midwife will discuss what treatment options are available for you, and ensure you have as much support as possible to help you quit. She can also support a partner or other family members in a quit attempt at the same time. Contact us or ask your Midwife for more information. Illegal, or illicit tobacco is smuggled, bootlegged or counterfeit, sold cheaply and tax-free and often linked to large-scale organised crime. A number of UK house fire deaths have been directly attributed to the use of illegal cigarettes and when tested, illegal cigarettes have contained extremely high levels of tar and carbon monoxide (up to 80% higher than permitted), yet contain less nicotine than indicated. We will only share your personal information with our partners who have referred you, or are involved in your treatment, but no one else without your permission. You can find out more information below.